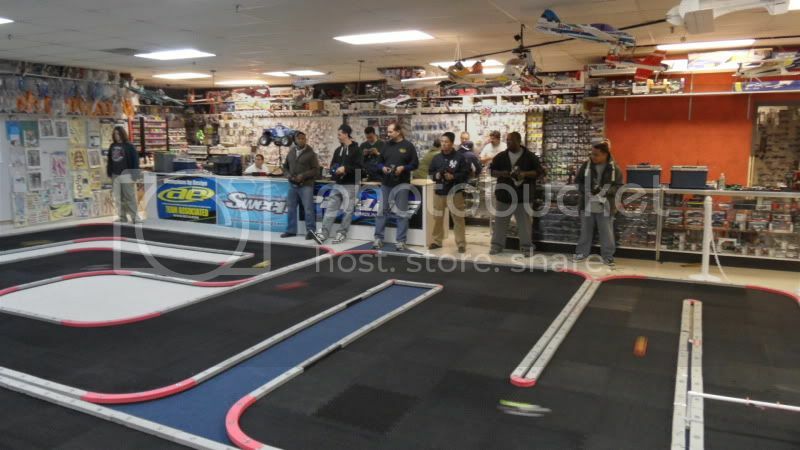 Cruizin with RC's has spent some time to change the layout of their track. Be sure to stop by and practice a little. Its a bit more technical. It has also been altered to allow a convertible "tri-oval" configuration. I cant wait to try that. Last edited by xxam; 2007.12.27 at 10:46 AM. 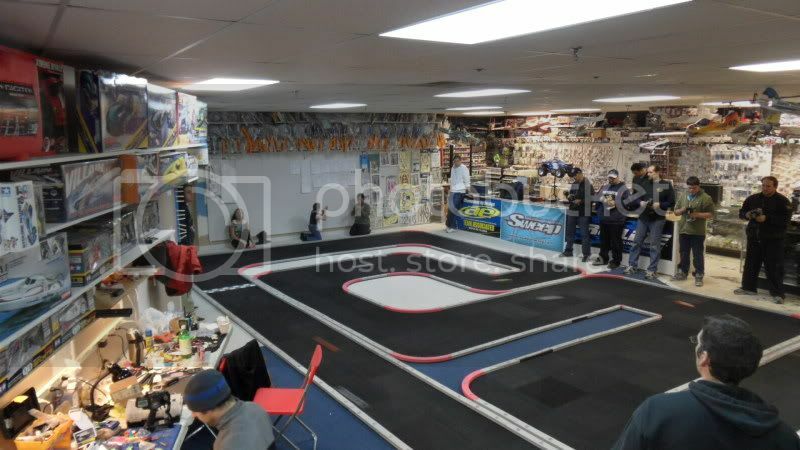 Cruizin with RC's has changed the layout of their track. Be sure to stop by and practice a little. It has a series of different length straights, all connected by hairpins. It also maintains the convertible "tri-oval" configuration with a change to tri-oval in less than a minute. We played with the tri-oval a little, and its alot of fun. C'mon down! A new layout is brewing... It was started late Monday, and should be finished tomorrow (Tuesday). Matt!! We need parts!! Be sure to check it out. Only 3 hairpins instead of 6, this time around. Throw in a couple of S turns, and 3 sweeping 90's and you have it! The new track layout is really fun although I did like the 0.5 version of it. I think the sweeping turns made for a fast and plenty lap course while the newer refined version is mixture of a few track layouts from before. Ok, so the initial change reported above was also updated. This layout has it all. 4 hairpins in sucession, a short straight underneath the elevated straight, 4 - 90's, a sweeping S, and 2 elevated straights with ramps. Try it.. if you dare. lets see you race it ..